Kuwait City, Kuwait – 2 February, 2019: The Sheikh Abdullah Al Salem Cultural Centre is pleased to announce the launch of its pioneering ‘School Programme’ on January 29, 2019. Delivered by the Centre’s Academy, this new educational initiative is designed to facilitate informative learning for students of all age groups and school grades, from Kindergarten to Grade 12, beyond the traditional classroom setting. As such, the School Programme ensures that visiting students engage in and enjoy a state-of-the-art educational experience through one of its eight custom-made museum tours, workshops, and interactive activities. The eight available School Programme options are in line with the educational curricula adopted officially by the State of Kuwait and aim to promote genuine interest in innovation, exploration, knowledge acquisition and critical thinking. 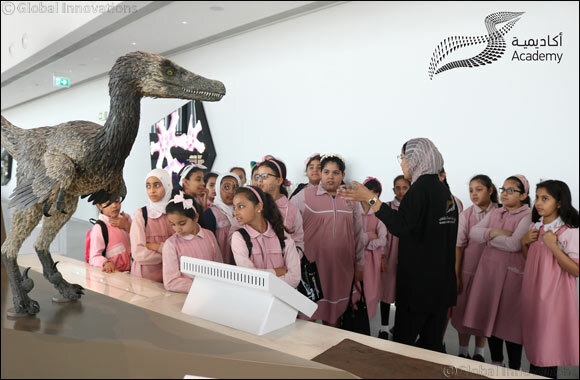 Each of the eight programmes involves a detailed guided tour around one of the Centre’s museums, (Arabic Islamic Science Museum, Space Museum, Natural History Museum and Sceince and Technology Museum) followed by a tailor-made workshop or an interactive activity that help consolidate the content of the selected tour and make it resonate further with the students. It is worth mentioning that these programmes are carefully crafted in-house: they take into account the respective needs of participating age groups; they are also designed to simulate the imagination of our youth, awaken their curiosity, encourage them to interact, and feed their future aspirations. One of the unique features of the School Programme is the versality, the breadth and the depth of the subjects covered across its eight different tours – be they scientific, technological, cultural, medical or historical. This Programme is in fact the first of its kind in Kuwait. Its structure will motivate students to ask questions, explore facts, derive their own answers, and grow into more responsible social actors through both teamwork and enhanced critical thinking. School teachers and supervisors are highly encouraged to select and book their visits on the ASCC School Portal at http://registration.ascckw.com/home/schoolportal. Sheikh Abdullah Al Salem Cultural Centre is one the many projects developed by the Amiri Diwan to facilitate the exchange of knowledge and promote critical, creative, and interpretive thinking within Kuwaiti society through world-class exhibitions and educational public programmes.